Ministry of Education, Science and Technology (MoEST), Scholarship Department published the notice about the pre nomination list for Scholarship to pursue BSc. 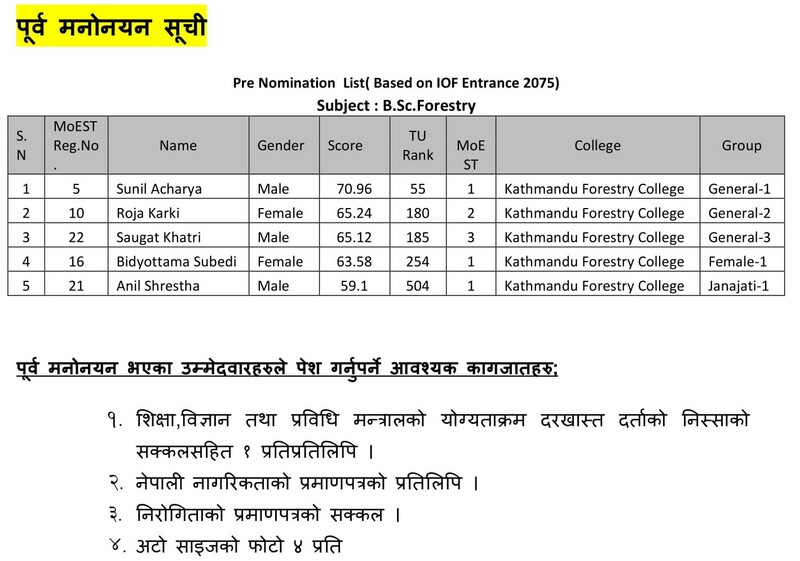 Forestry program at Kathmandu College of Forestry. 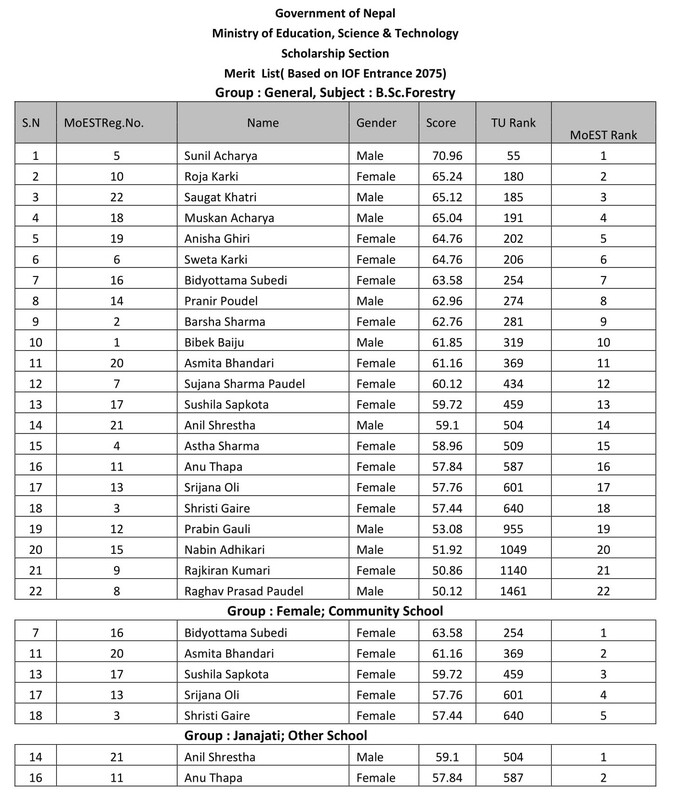 All the candidates who are in the nomination list are requested to contact to Scholarship Department, MoEST with the necessary documents by Poush 16, 2075.